Harry Potter: The Illustrated Collection (Books 1-3 Boxed Set)This beautifully produced boxed set is..
King BabyAll hail King Baby! He greets his adoring public with giggles and wiggles and coos, posing ..
Harry Potter and the Cursed Child, Parts One and Two: The Official Playscript of the Original West E.. Fantastic Beasts and Where to Find ThemFantastic Beasts and Where to Find Them, Newt Scamander's cla.. The Parker InheritanceFour starred reviews!"Powerful.... Johnson writes about the long shadows of th.. The Night Eater (Ezra Jack Keats New Illustrator Award)The illustrator of the highly acclaimed FRIDA.. The Nazi Hunters: How a Team of Spies and Survivors Captured the World's Most Notorious NaziIn 1945,.. The Memory of LightWhen Vicky Cruz wakes up in the Lakeview Hospital Mental Disorders ward, she know.. The Letter Q: Queer Writers' Letters to their Younger SelvesIf you received a letter from your older.. Words In The DustZulaikha hopes. 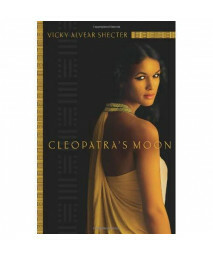 She hopes for peace, now that the Taliban have been driven from Afg..
Cleopatra's MoonCleopatra's Moon.The Critically Acclaimed Young Adult Novel Based On The Real Life O.. Divided We Fall (Divided We Fall, Book 1)Danny Wright never thought he'd be the man to bring down th.. Openly StraightThe award-winning novel about being out, being proud, and being ready for something e..
Harry Potter Books 1-7 Special Edition Boxed SetA new special edition boxed set of the complete Harr.. If You're Reading ThisMike was seven when his father was killed in mysterious circumstances in Afgha.. If I Ever Get Out of HereLewis "Shoe" Blake is used to the joys and difficulties of life on the Tusc..
Hidden Like Anne Frank: 14 True Stories of SurvivalJaap Sitters was only eight years old when his mo..
Fast FoodFruits and vegetables leap off the plate and off the page in Saxton Freymann's fast-paced t..
Food For ThoughtThe five concepts every child must learn -- shapes, colors, numbers, ABCs, and oppos.. The Fabulous Feud Of Gilbert And SullivanCaldecott Medalist Richard Egielski teams up with Jonah Win..